Aspen Grizzly Barstool w/ Back and Swivel Discounts Apply ! Add some rustic comfort to your bar or counter with the Aspen Grizzly Swivel Barstool. 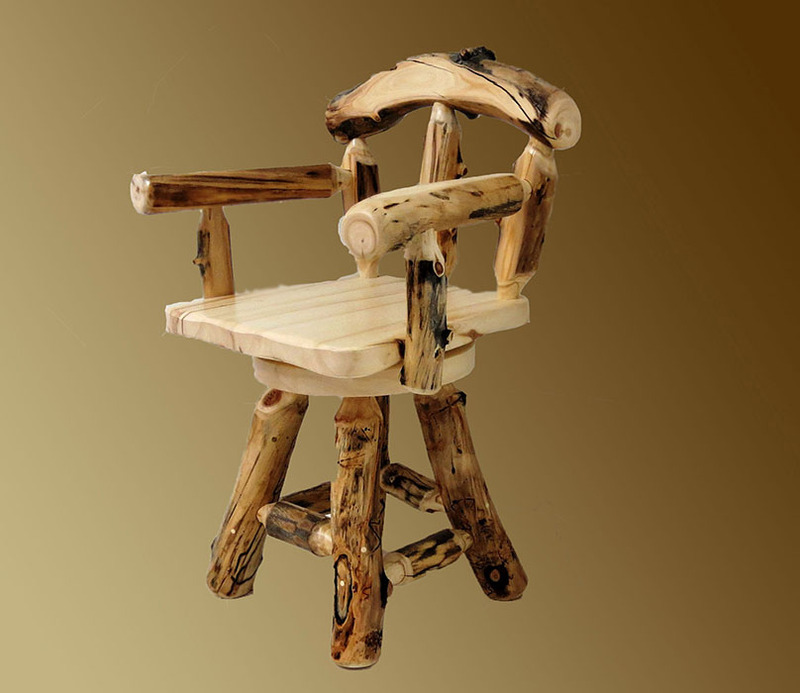 Featuring burls & knots with an ample seat base, this stool also features a smooth swivel. Available in 24" and 30" height. Shown here with arms (optional, available for an additional upcharge).